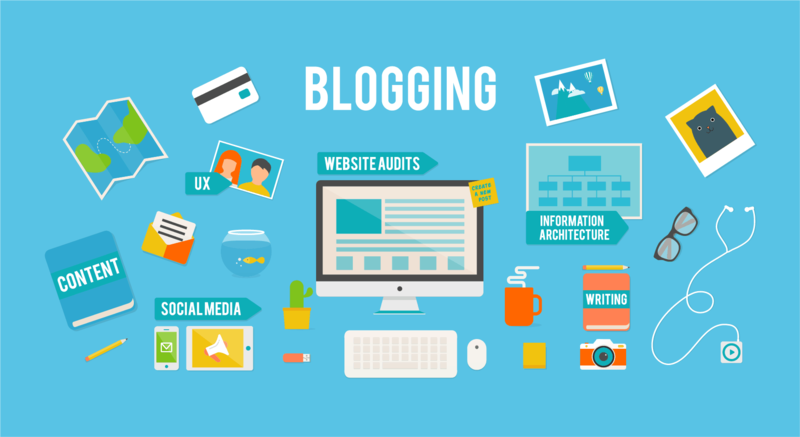 If your business website is in need of a little help to get more organic traffic, then starting to publish regular blog posts could be a really good option for you. Your organic traffic volumes hinge on how SEO friendly your website is and having regular content of high quality will help search engines to favour your website over similar websites. SEO principles change on a frequent basis and you may have heard about algorithm updates that Google apply. For example, we have seen the Hummingbird and Penguin updates in addition to numerous unnamed updates so when it comes to SEO, you have to stay on your toes. However, some of the main principles tend to remain and creating regular content, as long as it is the right kind of content, is still effective. One of the best ways to create regular content is through publishing a weekly, fortnightly or monthly blog posts. Okay so the first part of getting a blog set up is to look at the technical side of things. If you already have a website set up with blog functionality then you are pretty much ready to go. If you don’t have a website then you should look at some of the easy to use websites that provide blogging features such as WordPress. WordPress is the world’s most popular CMS because it is easy to use and there are lots of resources available to help you. So if you need to know how to publish a blog post, you will find so many sources of guidance, from WordPress online guides to videos on YouTube. Once you know that you have the right tools to get your website up and running, you can shift your attention to your content. It often helps to develop a content creation calendar to remind yourself when new content is due. You can also pre-plan your content around dates and events. So for example, if you are launching a new Christmas range of clothing, you would shape your content around that date (this can easily be done via WordPress). It’s important to remember is that your content must be useful to your target audience. There is no point just creating a blog that solely promotes your products, you need to have an angle that conveys to the reader that this content will help them. So going back to the clothing range example, a blog related to the top new winter fashion items, with a title like ‘5 Must-Have Knitwear Fashions this Winter’. So anyone who is wondering what jumpers and cardigans are going to be in fashion this winter will see this as useful advice. When they type into Google ‘knitwear fashions this winter’, they will be able to find your content in the search list. How far down on the list it appears depends on a variation of other factors but by getting the content focused on what your potential customers will be looking for and linking it to what you can provide them with, you are in a good starting position. It is also important to think about making your content appealing to the viewer. So don’t just write long blocks of text – use images or even video content to bring your content to life. Using bullets and subheadings also help to break up text into a more readable format. You can use your social media channels and email marketing to promote your blog content as well, so that you are not just relying on organic traffic to your website. It may help to research blogs that larger businesses in the same industry are publishing to give yourself some inspiration but never copy their content, as you can break copyright laws and get punished by the search engines. One of the greatest problems that people face when they plan their digital marketing strategy is generating traffic and more importantly “targeted traffic” . There are lots of different ways of generating traffic, some of these methods come with costs and others can take up lots of time but when you start to see increased visitors and sales, the time and money you spent may be well worth the output. PPC is becoming more popular with website owners as people have realised that even though you have to pay for it, what you get back makes it a really effective marketing technique. Costs vary depending on a number of factors so you can start getting paid traffic at a fairly low cost and then you can decide whether it is worthwhile for your business. Search engines will rank your website and its pages based on a number of factors, you might have heard Google’s rating system described as an Algorithm. Now Google don’t freely disclose what factors will help achieve that desired number one spot but SEO experts tend to be able to work it out. Creating regular, useful and relevant content is a good way to boost your rankings, as each additional page will add credit to your website in the eyes of the search engines. If you can also include the right keywords in your content, using tools like Keyword Planner then this will also help. Social media platforms have become really important to businesses for promoting their services. Some businesses don’t even set a website because they can now set up a Facebook business page or a LinkedIn page that helps people to find their services. If you can build up a good following on social media platforms by creating engaging content then use your accounts to direct traffic to your website then this will work wonders in increasing your website traffic. If you can create really useful content that is related to your services then people will find your content through searches. Then if they need that service in the future they will see you as an expert in that field and will contact you. Nailing a really good email marketing campaign is another great way to get those website hits up. A lot of things go into this starting from an enticing subject line that either evokes the recipient’s curiosity or gives them an offer they can’t refuse. Then the content itself, as well as looking really professional, you want the content to really resonate with the person you have sent it to. If you haven’t heard about targeted and segmented email campaigns, then maybe it’s time to spend some time looking into how it works as this also sees higher success rates. To get a professional looking email set up, you might want to consider using responsive templates such as the ones you can get through MailChimp. Not only will your email look good, it will be adapted to work well with desktops and mobiles. Plus, you can get some really good data off the back of it that will help you to monitor the campaign success. There are loads more ways to boost your website traffic like changing web host if your current one isn’t performing well, or creating video content on YouTube but If you start following these tips you should start to see some quick results.